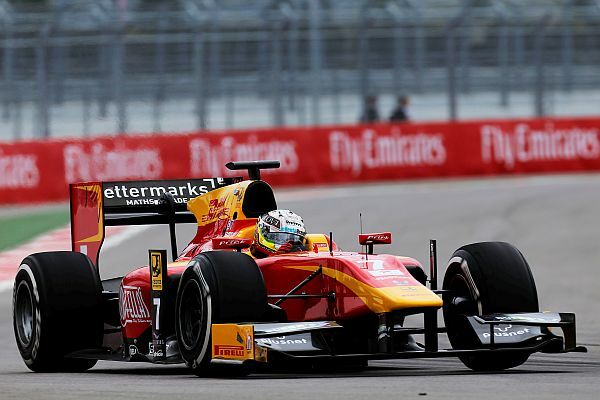 For the second time this season the GP2 teams are assembling at the Sakhir International Circuit in Bahrain for the penultimate round of the 2015 GP2 Series. The last three race weekends at Spa, Monza and Sochi have seen Alexander Rossi on the top step of the podium and the young American will be looking for more solid results in the final four races as he fights to secure the runner-up spot in this year’s Drivers’ Championship. For Jordan King a number of race incidents have prevented the young Englishman from gaining the results he wants but a great second place in the Sprint Race at Spa and Fastest Lap in the Monza Feature Race show that Jordan has the necessary speed to be fighting to finish on the podium and, both he and his teammate, will be also looking to ensure Racing Engineering secure second position in the 2015 Team Championship. This weekend will see a change to the u! sual format as the GP2 cars will be competing at a WEC (World Endurance Championship) event so, with the Le Mans-type sports cars having a six hour race on Sunday, practice and qualifying will take place on Thursday with the Feature and Sprint Races on Friday and Saturday respectively. 1. Located on the western shore of the Persian Gulf, Bahrain is an archipelago of 33 islands. 2. Round 10 of the 2015 GP2 Series takes place in Bahrain, back where the season began with good results for the Racing Engineering boys. 3. Round 10 of the 2015 GP2 Championship takes place together with the World Endurance Championship and is therefore the only weekend not part of a Formula 1 event. 4. In an average year Bahrain sees only 70 mm of rain, spread over 10 days. 5. Because of the low-lying land surrounding the venue, it provides little shelter and wind is often a factor. It tends to blow either up or down the main pit straight, causing occasional difficulties in the braking zone for Turn 1. 6. The Bahrain International Circuit has 15 corners, of which three are hairpins. 7. Most of the track's noteworthy corners are in sector two. Turns 5, 6 and 7 form an interesting high-speed section, and Turn 11 has been the scene of several overtaking manoeuvres over the years. 8. This circuit has a lot of wide open spaces for the cars if drivers make a mistake. There are a total of 140,000 square meters of run-off, most of which is benign, featureless tarmac. 9. Bahrain was a British protectorate until 1971, after which it gained its independence. 10. There are four straights of reasonable length, and three provide some degree of overtaking opportunities. The longest is the pit straight, which comes in at just over one kilometer in length. 1. F1 engines are at full throttle for 50% of the lap in the race whereas the full throttle average of a GP2 engine is 70%. 2. 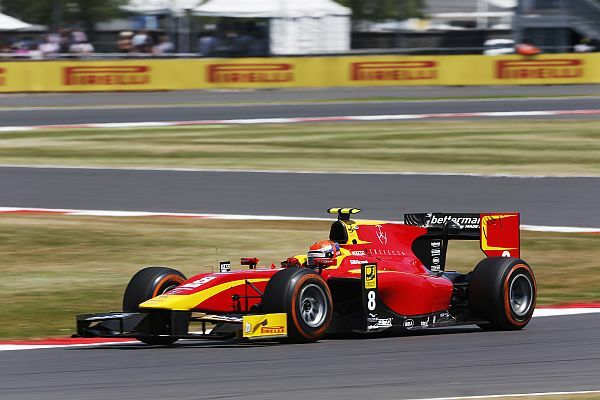 F1 top speed (including DRS) for 2015’s first race was 335 km/h – GP2 (with DRS) it is 310 km/h. 3. Race distance is different: F1 go around the circuit for 57 laps and GP2 do a total of 55 laps during two days- 32 laps in Feature Race and 23 in the Sprint Race. 4. In 2015’s first race the F1 Pole position was set at 1:33.928 – S. Vandoorne took the 2015 first race GP2 pole position with a time of 1:39.237. 5. F1 drivers will change gears 52 times per lap while a GP2 drivers have to do so 46 times.